The welcoming salute by three shots at arrival and goodbye shot of one or two at departure is a 150 years old tradition in Kristiansund, answered by either shots (in the earlier days) or hornblowing. That is so sad and depressing, reading about the cannon complaints. And goodness, having previously received complaints, surely the ship could on future visits have announced on board what was going to happen, giving interesting information about the history and tradition. A friend of mine - from Edinburgh - was stopped in Princes Street by a tourist and asked what time the one o'clock gun was fired. Honestly! I mean...., seriously..... And where does the white go when the snow melt??? Well, US pax also strongly belive we have polar bears in our streets so.... (What was that about education and schools in the US again?? Do they even CARE about the world outside of their borders??? (Sorry E, Martin and other US friends). 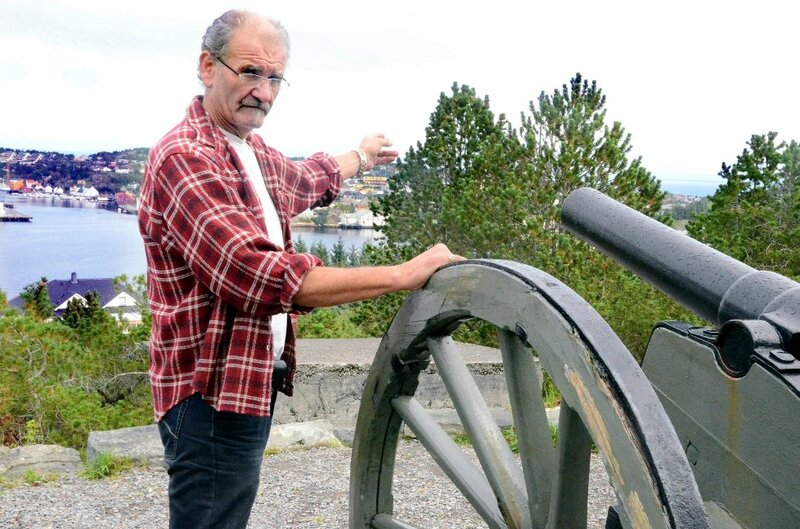 I'm working on the content of an e-mail to the cruise company where I want to explain what the 150-years old tradition of the salute cannons in Kristiansund means, and a reminder to use their PA on board next time. Perhaps try to wake up tired US pax with an announcement...., preparing old pax with weak hearts of what to expect whan sailing into Kristiansund. Thanks for the update, 'Galaxy'. We just had a video on the local tv-station TKTV about the work behind getting cruisevessels to Kristiansund and what to do in the future to increase this number. The great thing is that we've booked VIKING STAR, and I guess we're talking about the ship which is under construction at Fincantieri in Italy? No Saga Sapphire photos Svein? Just wondered 'cos you'd mentioned the 'Opera Cruise' earlier in the year, and I see that she's back in Dover today. Pictures will come, but only a handful (2-3) from two different spots. The reason can be seen on Facebook, where I've posted many pictures from a company teambuilding week-end last week. That ment I had to leave SAGA SAPPHIRE behind, with only a short time to take a few shots on my way to the teambuilding last Friday after work. Work does get in the way sometimes doesn't it!! A massive Lotto win would seem to be the answer. 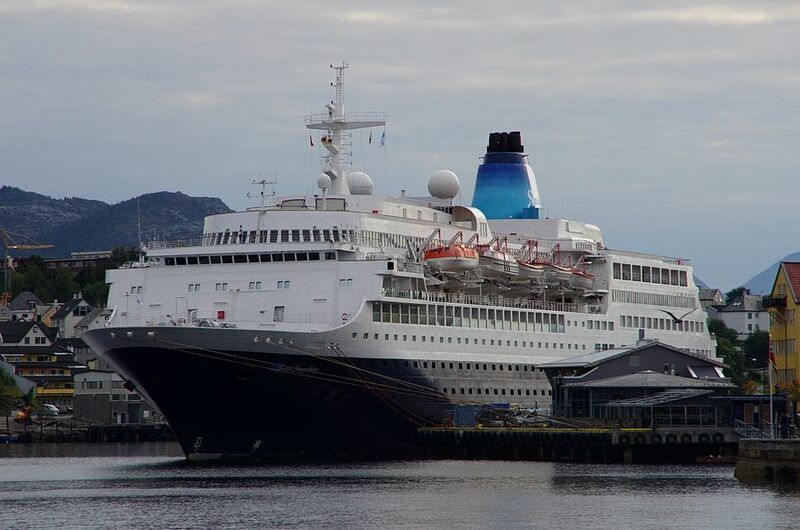 Anyway, here are three images of the SAGA SAPPHIRE in Kristiansund 5. September 2014, doing the very first Opera cruise here ever. The 500 passengers were very satisfied and many want to come back on their own to be here during the Opera festival in Febuary 2015. 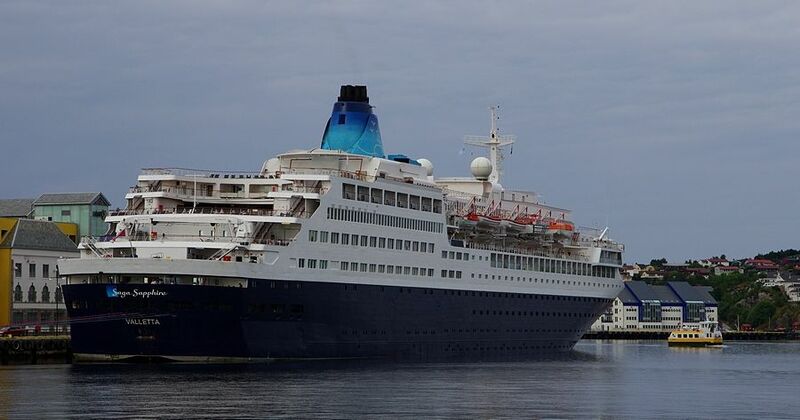 Oh Svein, this is what thrills me so much in these cruise ship threads - Saga Sapphire coming to your city after being here in Leith to see me! The delight of seeing her with a sundbåt in your first photo, and surrounded by the mountains and the buildings in the magnificent third one. Gentle subtle light in that one, bringing variation to the dark hull, and blending so well with those funnel shades which I was discussing with pakarang here. I'm sure some of those happy passengers will return to Kristiansund. Thanks Svein. Our friends on board seemed to have a very good time, and they enjoyed watching themselves in the video report in Tidens Krav. EDIT: I take it Costa NeoRomantica 15.09.2015 is out of the list then. Youre always welcome,Sterkoder..... i Hope to see more calls to Kristiansund. Our Harbour Master is over at Cruise Shipping Miami with the new Cruise Kristiansund movie and booklets/pictures in his suitcase..., so there might be a good hope. After viewing the new video, several has shown their interest. This years last call at KSU..... they saw the Northern Lights at Tromskø....! Had to let BOUDICCA pass yesterday, as I was not able to leave job during her stay. I see on page 1 here a very positive development in cruise calls, and 2016 is already growing. Yesterday evening I talked to a pilot (as in LOS), who told me something very interesting as far as cruise calls to Kristiansund goes. He told me not to tell yet, so I'm sorry to say that I can not tell you what it is. He will update me with an sms message, and hopefully I can make a note here in due time. I could always take the company car to drive down to the harbour during lunchbreak..., but you know, Friday mean hot lunch, and this time it was spaghetti carbonara ( ;-) ). The fact that you know alot about cruise calls, perhaps you already know what "secret" I'm thinking about?